MICROBEE environmental’s Ecology Team specialises in a wide range of Wildlife Survey and Ecology services. are one of the most common wildlife surveys required, as they can roost inside buildings that are due to be demolished. They can also be found all over England inside trees, other types of built structures, and other interesting locations such as disused railway tunnels. Bats are a European Protected Species and are fully protected by law. This is the first stage, and can be carried out at any time of year. A survey is comprised of an internal and external check of the property or tree(s). 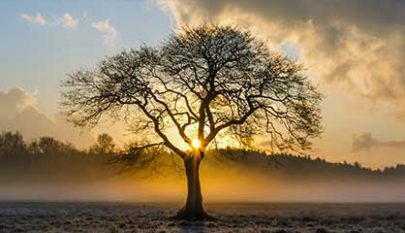 The ecologist is looking for any evidence of bats, or signs that any features of the site can support roosting, commuting and foraging bats. If a PBS provides evidence that a site may support bats, then emergence/re-entry surveys will be required. These can only be carried out between May-September; therefore proper planning by the developer is crucial. Ecologist watch for bats leaving and/or re-entering the roost. These surveys can confirm bat species, population estimates, roost type and access points. If emergence surveys confirm the presence of bats, then an EPSL will need to be applied for by a licensed ecologist. 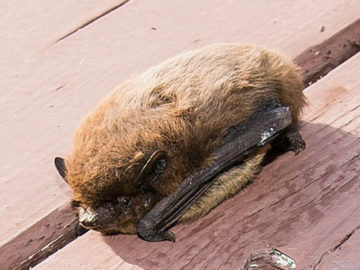 Bat mitigation can include replacement roosts, installation of bat boxes, and general habitat management for bats, such as minimising light pollution and retaining bat-friendly foraging habitat. These types of works are generally very time sensitive depending on the season, so pre-planning is essential to avoid delays to development. Our Ecology Team work with experienced, licensed bat workers who can carry out all the different types of survey, as per the BCT Good Practice Guidelines. All surveys as standard are followed up with a detailed report analysis including biological records data. If you would like to discuss your requirements or would like to arrange a site visit with one of our ecologists contact our team. This is a relatively new type of survey in recent years, and is useful for quickly establishing presence/absence of GCN in a pond. Water samples are taken and sent off for laboratory testing. Surveyors search for evidence of GCN using approved methods such as bottle trapping, egg searching and torching. Four separate visits are required between March-May, with a further two surveys required before June if GCN are found for population assessment. Surveys must be led by an experienced, licensed ecologist. 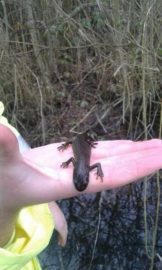 If surveys confirm the presence of GCN, then an EPSL will need to be applied for by a licensed ecologist. Works will need to be timed to minimise impacts on GCN. Mitigation works can involve provision of replacement ponds or terrestrial habitat, installation of GCN resting places (such as log piles) and general habitat management. Our Ecology Team work with experienced, licensed GCN workers who can carry out all the different types of survey. All surveys as standard are followed up with a detailed report analysis including biological records data. For further information contact our Ecology team. Dormice are secretive animals that nest in woodlands and hedgerows. They are an EPS, and are fully protected by law. 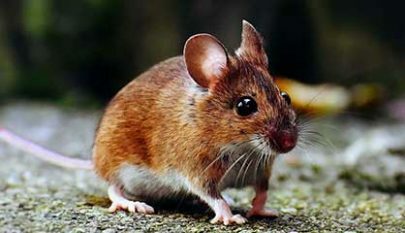 They are quite rare, and unfortunately, while they have a wide range across England, their populations are spread thin. If suitable dormouse habitat is present on a development site, then a full set of surveys will be required. The most reliable method is to place dormouse nest tubes out on the site, and check these regularly, typically from around April – October. 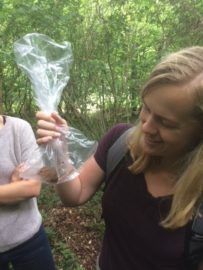 If surveys confirm the presence of dormice, then an EPSL will need to be applied for by a licensed ecologist. Mitigation/enhancement generally involves timing the proposed works carefully, sometimes over several seasons, and working around the dormouse where possible. In extreme circumstance, the dormice may need to be relocated. Our Ecology Team work with experienced, licensed dormice workers who can carry out surveying for dormice. All surveys as standard are followed up with a detailed report analysis including biological records data. 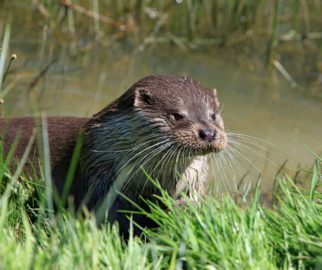 Otters and water voles are the two types of semi-aquatic mammals that can be found on our water bodies, mainly on rivers. Otters are an EPS and are fully protected by law. Water voles have faced a very serious, significant decline of over 90% over the past 20 years, and are now fully protected under the Wildlife and Countryside Act 1981 (as amended). If any construction or demolition works will impact on a slow-moving water body, such as river, canals and lakes then a full survey will be required. This includes work on bridges and river banks. As both animals are quite elusive, surveys focus on searching for signs of the animal. For otters, signs include footprints, spraints, holts and slides. The surrounding habitat is also surveyed. These can be carried out at any time of year. For water voles, signs include feeding remains, latrines, footprints and grazed ‘lawns’. Surveys are best carried out during the breeding season, which runs from mid-April to mid-September. If any proposed works may impact upon otters or water voles (or their breeding sites) then a licence will be required. Our Ecology Team work with experienced, mammal ecologists who can carry out surveying for otters and water voles. All surveys as standard are followed up with a detailed report analysis. If you are interested in an Otter or Water Vole Survey contact our Ecology team to discuss further. We have only six species of reptile in the UK; two of these (sand lizard and smooth snake) are very rare and only found at certain sites in the UK. They are both EPS and are therefore fully protected by law. 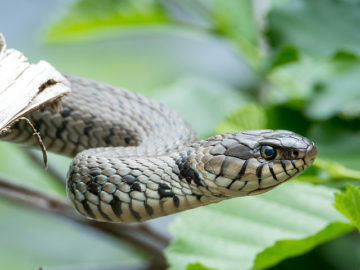 The remaining four species (slow worm, common lizard, grass snake & adder) are protected from killing, injuring and sale. For the four common reptile species, the best survey method is to place down artificial refugia (usually squares of roofing felt) across the site in question. These must be checked 5-7 times between May-September in suitable weather conditions (July & August can be sub-optimal months for surveys as the weather can be too hot). These surveys can determine species present, population assessment and site use. If present on site then mitigation works follow, usually a combination of habitat management, reptile fencing, and trans-location. Surveys for sand lizards or smooth snakes must be carried out by a licensed worker, and a European Protected Species Licence would need to be obtained if any were found. Our Ecology Team work with experienced, reptile ecologists who can carry out surveying for reptiles. All surveys as standard are followed up with a detailed report analysis. Intentionally or recklessly damage, destroy or obstruct access to a sett, or disturb a badger whilst it is occupying a sett. 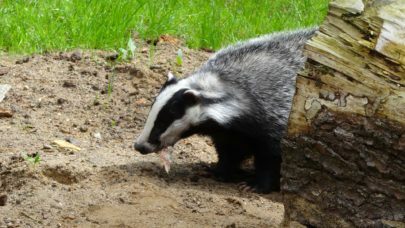 Badgers are one of the UK’s most common mammals, though they are seldom seen unless you go looking for them! They can occur in a wide range of habitats, and are frequently found in close proximity to development site. An initial survey determines if badgers are using the site and if there are any setts on site or adjacent. If badgers are thought to be present then a full survey would need to be carried out. These consist of many visits over several months, utilising camera traps, sand traps and hair traps to determine to use of the sett. If mitigation works were required then a licence would be required from Natural England. Works often involve partially closing sett entrances, or relocating the badger family, often with the use of an alternative sett site close by. These works should only be carried out during the badgers’ least active period of July-November. Our Ecology Team work with experienced, badger ecologist who can carry out surveying for badgers and appropriate mitigation techniques. All surveys as standard are followed up with a detailed report analysis. 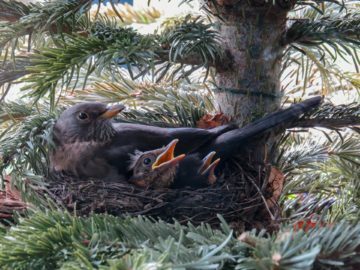 All wild birds, their nests and their young are protected during the breeding season under The Wildlife & Countryside Act 1981. This generally runs from March-August, although birds can still breed outside of these months. Any trees/hedgerow that needs to be removed should be surveyed for breeding birds by a competent ecologist. Surveys consist of standard techniques, including searching for nests and birds displaying obvious breeding behaviour. Our Ecology Team work with experienced bird ecologists who can carry out surveying for breeding birds. All surveys as standard are followed up with a detailed report analysis. Barn Owls are protected under The Wildlife & Countryside Act 1981, making it illegal to disturb them while nesting. As their name suggests, they can often be found in old barns and houses. An initial walkover survey determines the value of the site to barn owls, as well as looking for signs of use. 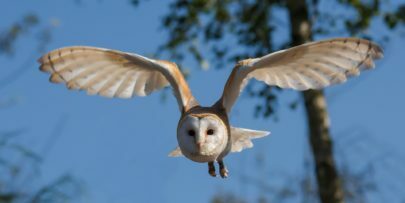 If they were found to be present then further mitigation works, usually in the form of an alternative nesting/roosting site, or barn owl box would be required. The Microbee Ecology team are friendly professionals trained to a very high level. We hold a wealth of industry-specific certifications so you can be sure you are in good hands. 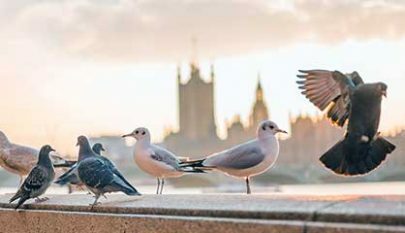 Microbee has BSc, MSc, MRes and PhD qualified specialists who are experts in a wide variety of environmental management services. 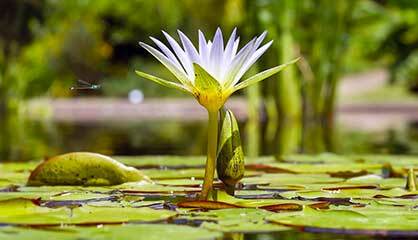 All our Biologists, Zoologists and Ecologists have a Bachelor of Science, Master of Science or Doctorate degrees. Specialist staff have role specific training and qualifications such as phase 1 and 2 habitat surveyor. Many of our Technicians are security cleared to work on Government premises. All our staff work in a discreet way when on our clients’ premises. CHAS accredited, UVDB registered, Safe Contractor, Safe4site accredited and many more. Alternatively, complete the contact form below and a member of our team will be in touch.